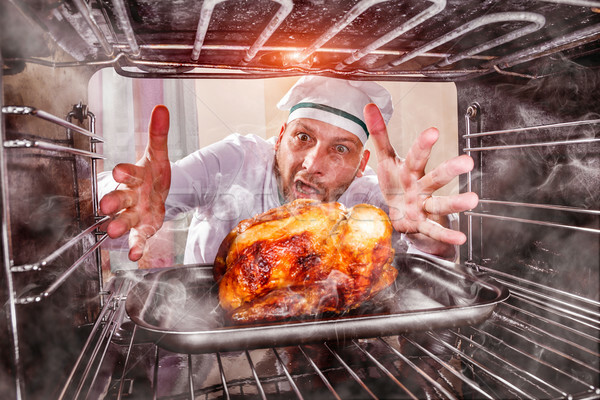 Stock photo: Funny chef overlooked roast chicken in the oven, so she had scorched, view from the inside of the oven. Cook perplexed and angry. Loser is destiny!